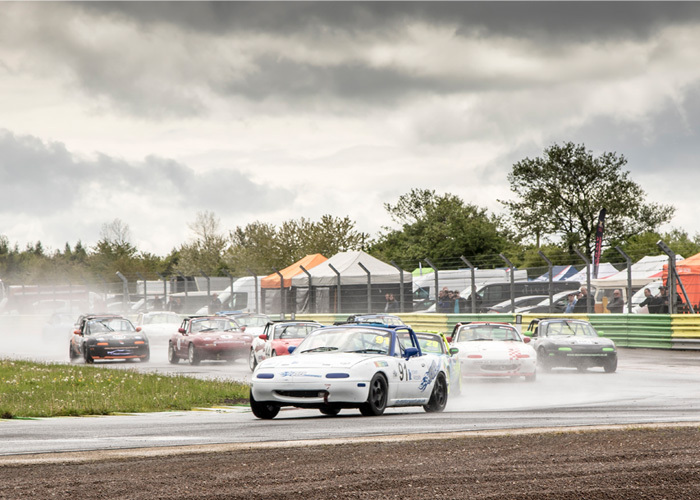 Thanks to Mazda UK, 5-Club competitors were given the opportunity to compete in the Global Cup via a two-stage competition process, detailed by the 750 Motor Club back in April. The rules stated that whoever was leading the popular 5-Club roadster championship at the end of May 2016 would be invited to a European play-off, where the talented 750 Motor Club member would see themselves pitted up against the leaders of other UK and European MX-5 racing formulae. After a slow start to the season at Oulton Park, Sycamore took two podiums at Brands Hatch to go into the last pre-competition meeting at Croft as a fourth-place outsider in the championship points table. With three races in the schedule though, the well-loved North East circuit certainly followed through on its ability to upset the standings. Sycamore came away with a full complement of hard-fought victories in a trio of races that became ever more intense and spectacular to watch, and duly goes through with just one point in hand from rival Sam Smith. Titled as the ‘Friends of MX-5 European Training Event’, and held at Parcmotor Castelloli circuit near Barcelona, Jack will now go on to test the all-new Mk4 Mazda MX-5 Global Cup Car alongside fellow competitors from across Europe as well as take part in a series of driving assessments. Also joining them in this two-day selection process will be winning digital racers from the Mazda European MX-5 Cup championship - a virtual race series hosted by online racing platform iRacing. From this European event, five lucky drivers will win a seat in the prestigious MX-5 Global Cup race, held at Mazda Raceway Laguna Seca in September with the aim of finding a Global MX-5 Champion. 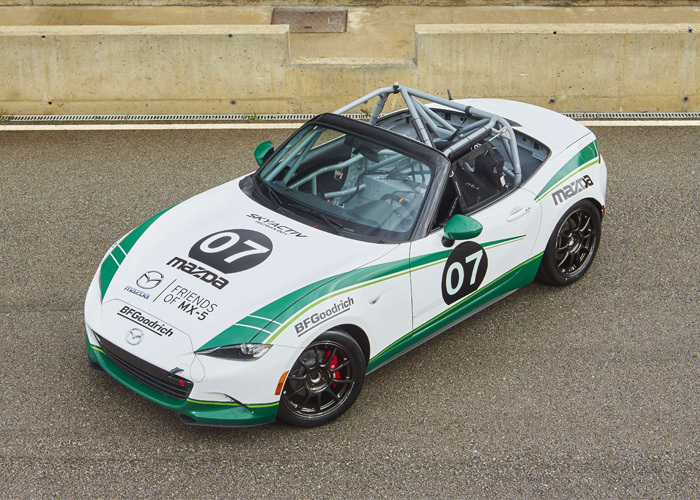 Based on the award-winning all-new Mazda MX-5, the Global Cup car has been developed in-line with the ethos of club-level MX-5 racing and remains close to the specification of the road car. Built by Long Road Racing in North Carolina USA, the Global Cup car features a standard 2.0-litre SKYACTIV-G engine but benefits from a sealed racing ECU and a stainless steel exhaust. Plus, with a front cross brace strut bar, two-way adjustable competition dampers, race springs, Brembo brakes and 17-inch RAYS wheels with slick tyres, the all-new MX-5’s famed chassis has been honed for competition.